The trial of Air Marshal Mohammed Umar Dikko, former Chief of Air Staff, on charges of fraud to the tune of N9.7billion came up on Thursday, February 8, 2018 before Justice Nnamdi Dimgba of the Federal High Court, sitting in Maitama, Abuja, with the cross-examination of the first prosecution witness, Air Commodore Salisu A.Yushau (rtd). Dikko, who served as the Chief of Air Staff, Nigerian Air Force, NAF, between September 2010 and 2012, is facing a 7-count charge of money laundering and procurement fraud to the tune of N9.7billion brought against him by the EFCC. He, among other things, allegedly withdrew N700million from the Nigeria Air Force (NAF) account to purchase a house at No. 14 Vistula Close, off Panama Street in Maitama, Abuja. The former Air Chief was also said to have stolen N500million from the NAF account to buy a four-bedroom duplex at Road 3B, Street 2, in Mabushi Ministers Hill, Abuja. Additionally, the former NAF boss allegedly took N250million from the NAF's coffers to buy a property at No. 14, Audu Bako Way, GRA, Kano State in 2011. Yushau, had in his evidence which started last year February told the court that he was appointed as the director of finance and accounts, DFA, by the defendant (Dikko), a position that put him in charge of all the financial roles. The witness stated that he receives and disburse NAF funds on the orders of Dikko, adding that the Nigerian Air Force received funds to the tune of N4billion monthly. The PW1 under cross-examination by Dikko’s counsel, Hassan Liman, SAN, insisted that he acted solely on the instruction of his boss (Dikko) with respect to the release of funds. He said that whenever approvals were obtained from the defendant, payment vouchers were raised before payments were made. He further told the court that he paid the defendant the sum of N558.2million monthly for two years. 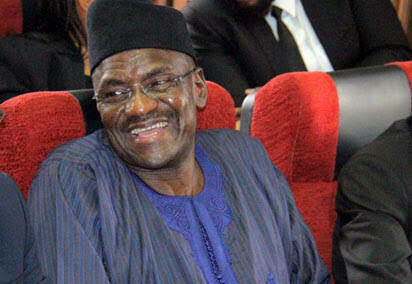 “I can confirm that I gave the defendant N558.2million monthly from November 2010 to September 2012. I personally gave it to him and it was usually exchanged into United States dollars," Yushau said. He went on: “I always received two types of instructions; oral and written instructions. When the defendant needs money, the instruction was always oral. But when other officers needed money, the request will come in written form and he will now approve." Yushau told the court that he was also investigated by the EFCC. Under re-examination by Silvanus Tahir, counsel to EFCC, the witness told the court that he had while in South Africa for a course, traveled down to Nigeria on two occasions, to personally give money to Dikko. “While on course in South Africa, I had to come to Nigeria twice to personally give money to Dikko. The first one was in September 2011, of which I collected the money for July and August and gave to the defendant." “My second coming was in November 2011 when I collected the money for September and October 2011 and gave to him." “The last one was after my course in December, when I collected the money and gave him in January 2012," Yushau stated. He further said that no receipt was issued to him by Dikko for all the money he personally delivered to him. Thereafter, Justice Dimgba adjourned to March 20 - 21, 2018, for a continuation of trial.